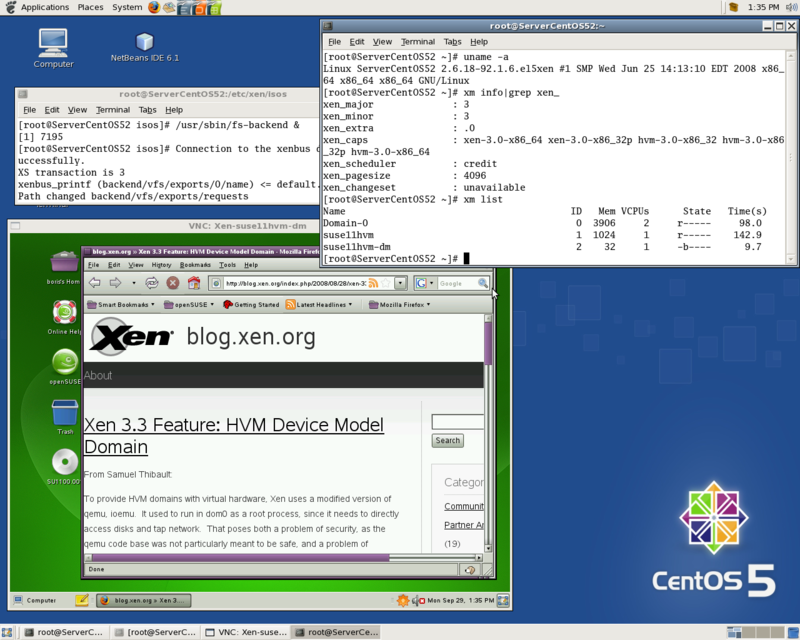 In original hvm profile both vnc and sdl are disabled. Selection is made *-dm Domain’s profile. 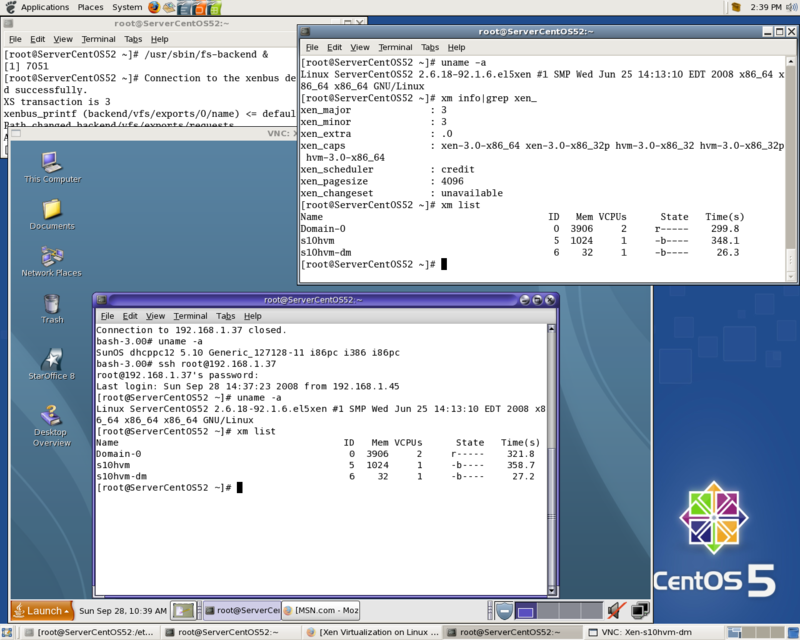 Both option “sdl” or “vnc” work with the same performance. 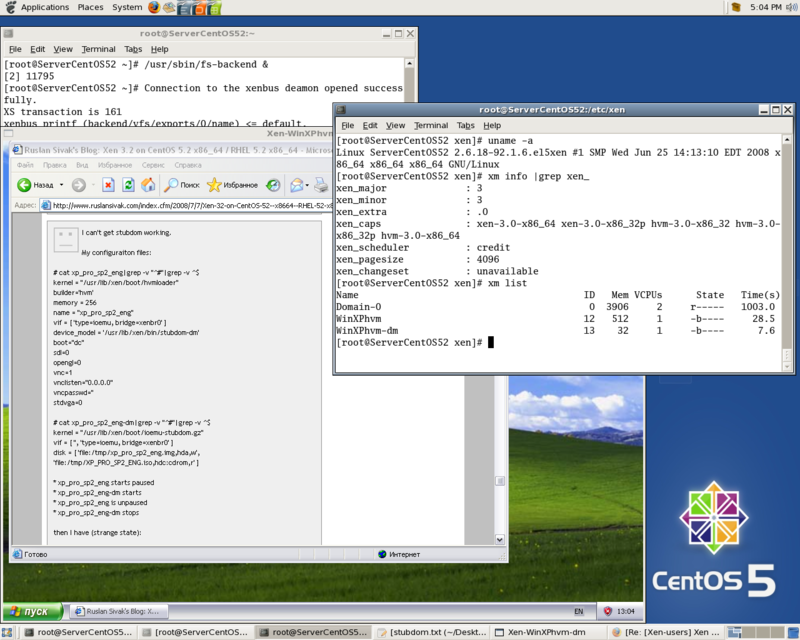 However, vnc connection is preferable from my standpoint. Mouse just gets lost with SDL in final phase. In both cases install goes hardly alive with long outages , looks like it gets stuck from time to time. 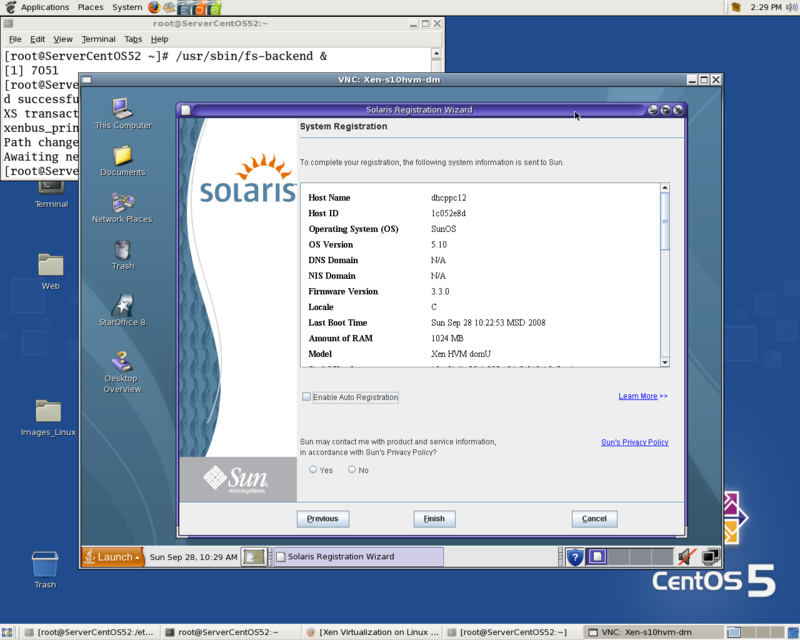 and Solaris 10 (05/08). 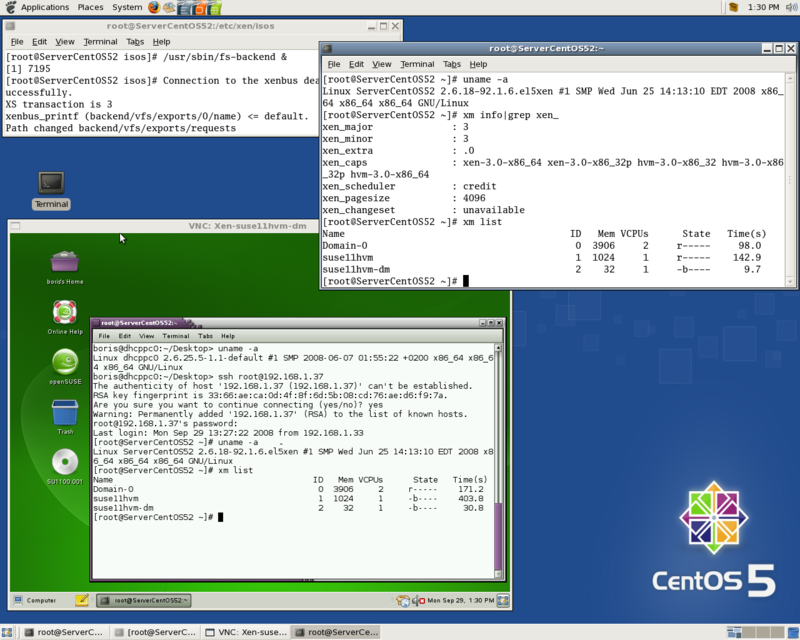 For CentOS 5.2 (1) installer hangs at third page “Keyboard layout selection” and never comes back to live. Monitoring “xm list” i was waiting for a while, it looked like CPU resource had been taken by stub domain. 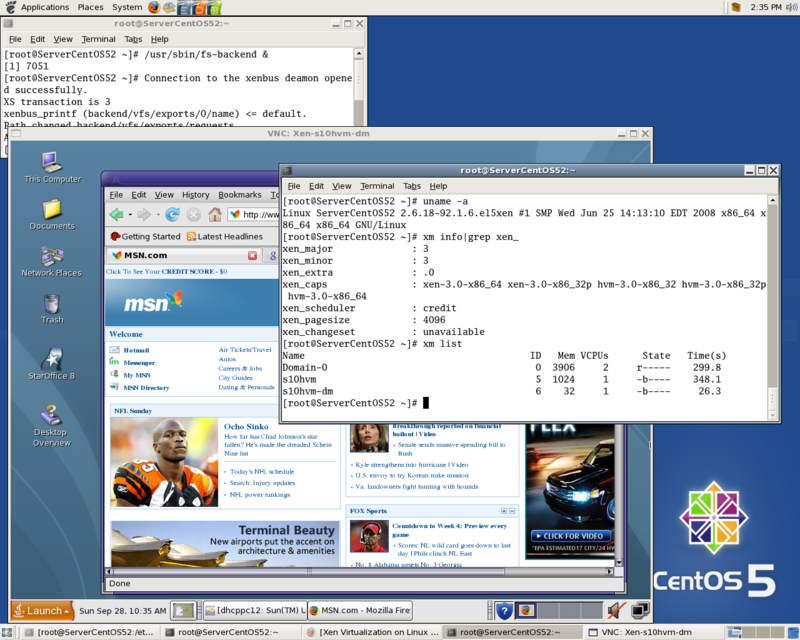 All mentioned Linux distros are 64-bit. 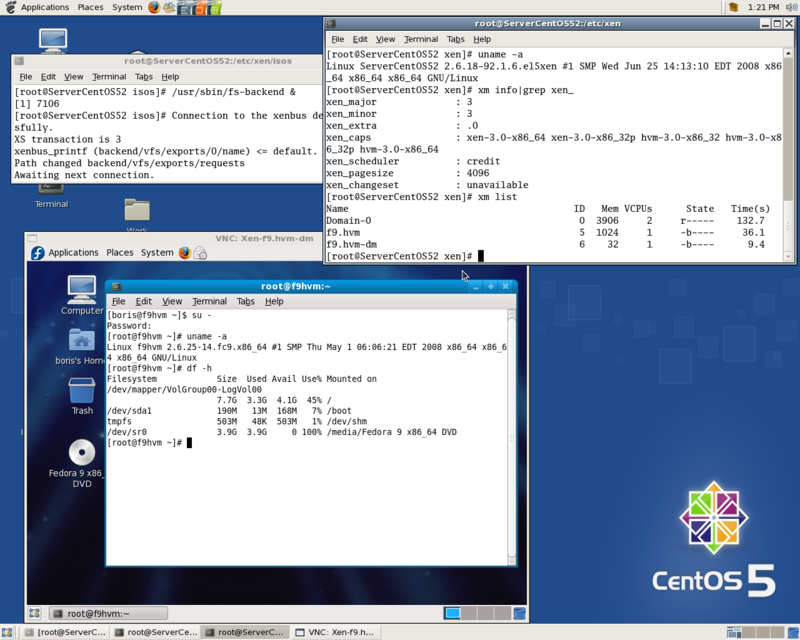 What’s amazing it’s installation and runtime performance Solaris 10 (05/08) (32-bit) in stubdom vs Windows XP. 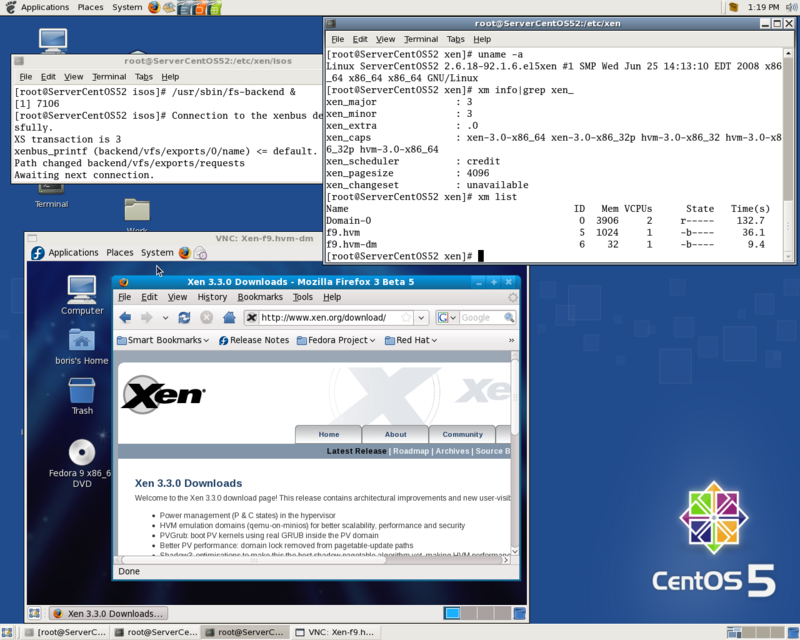 You are currently browsing the Xen Virtualization on Linux and Solaris blog archives for September, 2008.